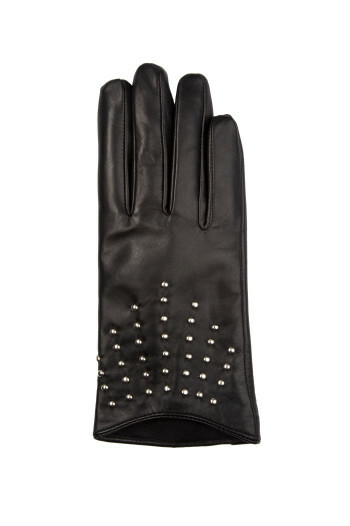 The Attitudes are a luxurious leather dress gloves for women with long fingers. The Attitudes are a classic leather dress glove with a twist: metal studs for attitude. Color: Black with silver colored metal studs.